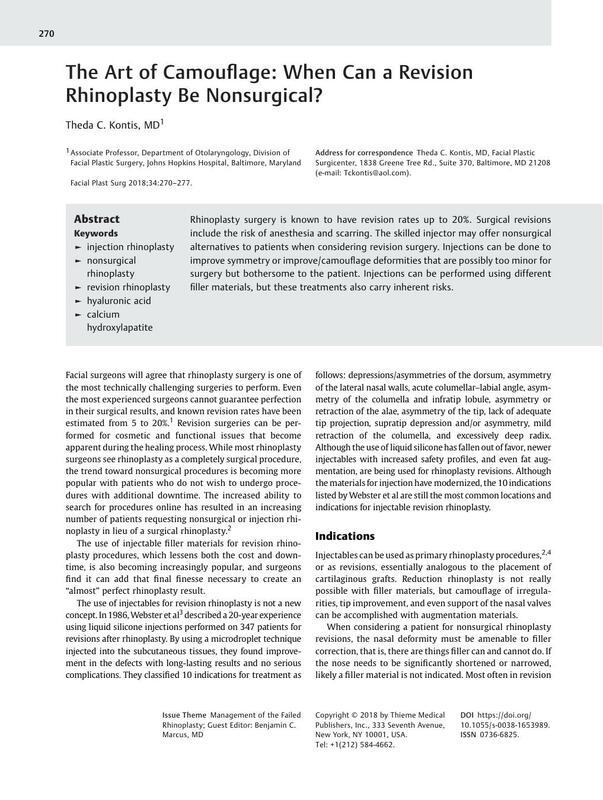 The Art of Camouflage: When Can a Revision Rhinoplasty Be Nonsurgical? Rhinoplasty surgery is known to have revision rates up to 20%. Surgical revisions include the risk of anesthesia and scarring. The skilled injector may offer nonsurgical alternatives to patients when considering revision surgery. Injections can be done to improve symmetry or improve/camouflage deformities that are possibly too minor for surgery but bothersome to the patient. Injections can be performed using different filler materials, but these treatments also carry inherent risks.